Yorkshire Bridge Inn01433 651361work01433 651361fax InnSituated in the beautiful Hope Valley in the Peak District National Park, the Yorkshire Bridge Inn is a family owned multi award winning inn located just a short stroll from the beautiful Ladybower Reservoir. The Upper Derwent reservoir area is a spectacular location and a walker’s paradise. The Ladybower Reservoir is the largest of the dams, which are famed for the Dambuster training runs. Fabulous walks from the door. Cycles can be hired locally and stored in our covered storage area. Fly fishing on Ladybower Reservoir. Golf and riding available locally. Short drive to Chatsworth and Haddon Hall historic houses. The market towns of Bakewell and Buxton and the villages of Castleton, Hathersage and Hope are all within easy reach. 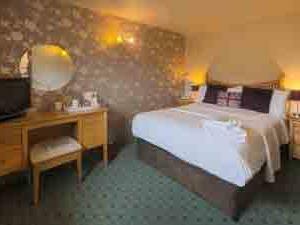 Our landmark inn was awarded the Gold Award in the East Midlands Tourism Enjoy England Excellence Award 2009. We have fine food prepared to order using fresh local produce. We have a wide menu, complimented by a selection of daily specials, and the emphasis is always on top quality and good value. There is a great choice of beers, as well as an imaginative well priced wine list. 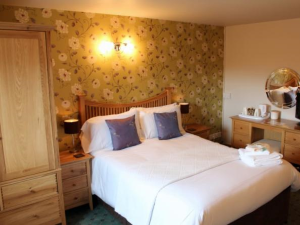 Situated in the beautiful Hope Valley in the Peak District National Park, the Yorkshire Bridge Inn is a family owned multi award winning inn located just a short stroll from the beautiful Ladybower Reservoir. The Upper Derwent reservoir area is a spectacular location and a walker’s paradise. The Ladybower Reservoir is the largest of the dams, which are famed for the Dambuster training runs. 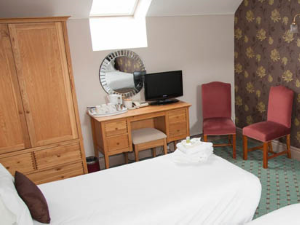 We have 14 en-suite bedrooms offering quality accommodation. 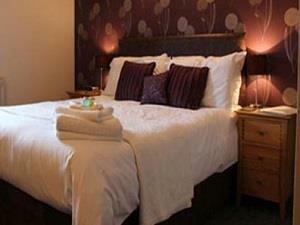 Yorkshire Bridge Inn sometimes limits bookings to 2 or more days. Room 02 sometimes limits bookings to 2 or more days. Room 04 sometimes limits bookings to 2 or more days. Room 05 sometimes limits bookings to 2 or more days. Room 06 sometimes limits bookings to 2 or more days. Travelling North M1 J29 to A617 Chesterfield, then A619 Baslow on to A623 Calver and the B6001 Hathersage. Then follow A6187 Bamford and the A6013 Ladybower Reservoir. 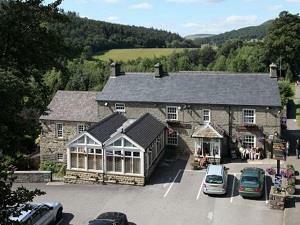 The Yorkshire Bridge Inn is on the left, one mile through the village of Bamford. The nearest Railway Station is Bamford Station (1.5 miles) and this is the Manchester to Sheffield main line. WE ABSOLUTELY LOVE THIS PLACE. WELL RUN WITH FRIENDLY ATTENTIVE STAFF GREAT FOOD AND NICE LITTLE TOUCHES LIKE FRESH MILK IN THE ROOMS AND ENOUGH TEA AND COFFEE AVAILABLE SO YOU DON'T HAVE TO RATION YOURSELF. MOST RELAXING AND COMFORTABLE PLACE WE KNOW AND WE ENJOYED EVER MINUTE OF OUR STAY.